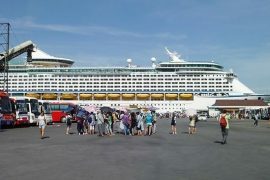 Danang city and Hue is “neighbor”. Distance from Danang to Hue is about 100km. 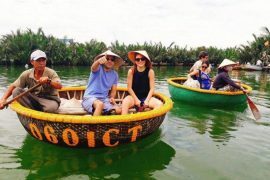 If you are staying in Danang and you have plan to go to Hue city. 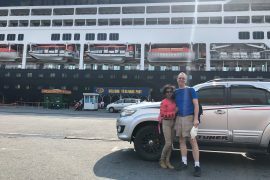 So How to get from Danang to Hue? There are 4 options to get from Danang to Hue. And you only go direct nonstop under tunnels. It is not interesting. 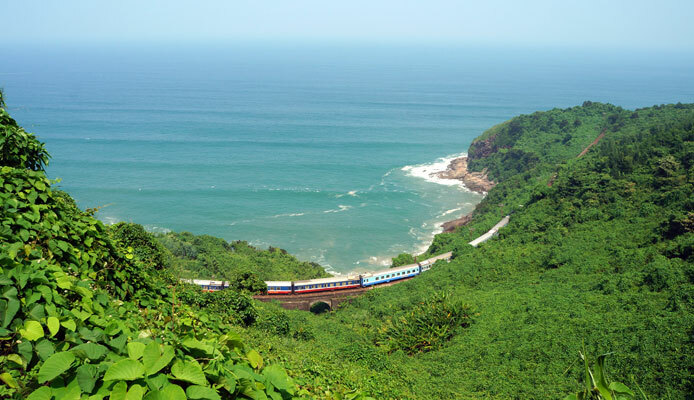 Soft seat on train from Danang to Hue is 90,000vnd/ pax. There are many times of train from Danang to Hue. But you should be at the train station early to buy ticket. Can’t book before, so maybe if you came to the train station and it was full. The train will not stop on the way to see sightseeing or take photo too. And it is always delay. Local taxi is easy to catch from your hotel. But is is expensive for this option. Taxi charge per kilometer. If you go under tunnels, it is cheaper than go up to the Hai Van Pass. And you should pay for road tolls. You can go from Danang to Hue by private car is the best convivence way. It is not too cheap, it is budget way. Price is default for pick up any hotel in Danang center, and drop off at any hotel in Hue center. You can choose go on the fastest way 2 hours, or you can go up to the Hai Van Pass and stop there to take photo. After that, see Lang Co Beach and Lap An Lagoon. Most experience and English speaking driver will help you have a great moment. we will discuss and arrange good car for you. Previous postWhen is the best time you need to book private car service?